SFI 3.2A/5 Certified (SFI 5). 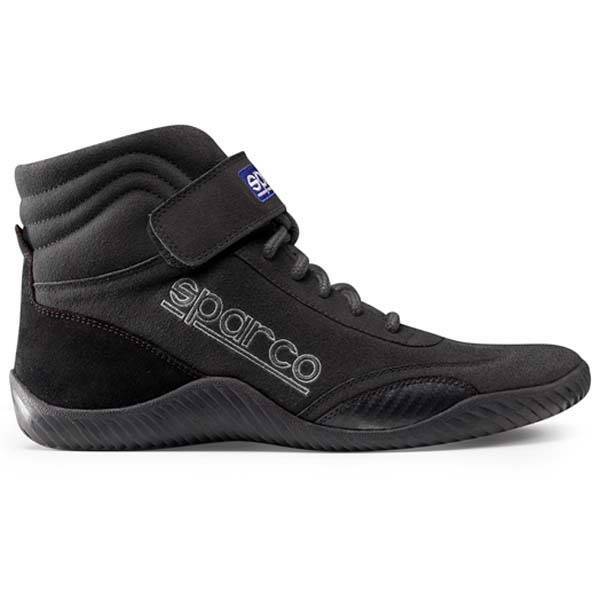 Developed exclusively for the U.S. market, the Sparco Race driving shoe provides comfort and control. It features a wide toe box and an extra cushioned sole for greater comfort and an additional comfort cell on the ball of the foot to help reduce shock and vibration. Stylistically, the Sparco Race auto racing shoe offers an aggressive design with a suede upper and boot cut design with Velcro closure. 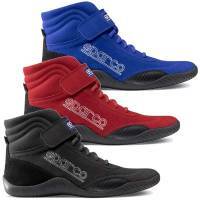 Available in black, blue and red in sizes from 7.5 to 13. 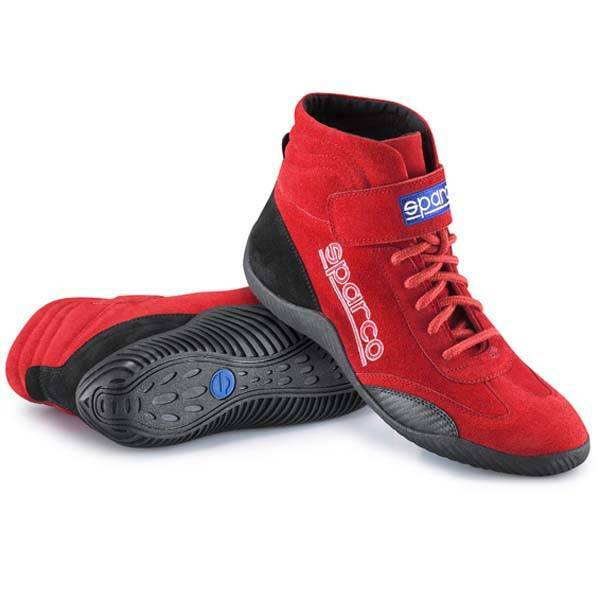 The Sparco Race shoe is SFI 3.3/5 (SFI 5) approved. 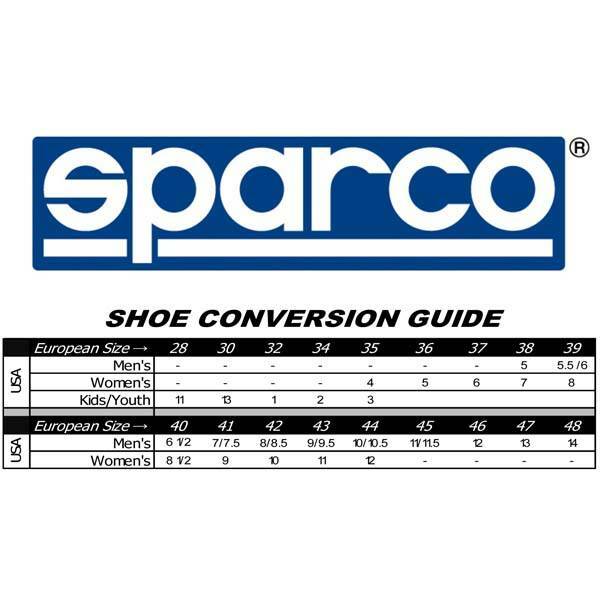 All Sparco soles are made from oil and hydrocarbon-resistant natural rubber. The shape is designed to ensure a perfect contact surface on the vehicle body and pedals. The surfaces are micro metrically processed to achieve a special texture providing maximum grip. Pit Stop USA offers Sparco Race Shoe - Black 00127N at low everyday prices with Free Shipping. 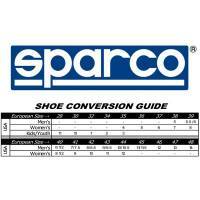 Be sure to check out all of our products from Sparco including Sparco Auto Racing Shoes and Sparco Driving Shoes. ok you can tell the quality the fit was perfect they are narrow enough with really good grip and feel i recommend.